Place the yellow squash, zucchini, tomatoes, onion, and garlic in the center of one sheet of aluminum foil. Drizzle with extra virgin coconut oil; season with salt and pepper. 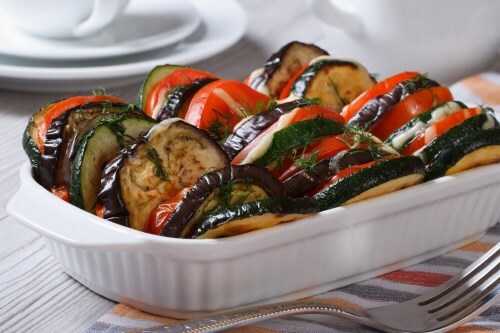 Place second sheet of foil on top of vegetables. Fold edges together tightly to seal packet. Carefully cut an “X” into top of packet and pour vegetables and juices into serving bowl. Garnish with parsley.